The Year of the Snake Blog Hop is dedicated to excerpts that feature deception, delusion, opportunism, and perhaps simply snakes. Here’s mine. Enjoy. “What do you want to know?” his father asked. “Wait. I just told you a crazy ex-Kitsune knew me and that doesn’t concern you?”Matty asked. Looking around him, Matty began calculating the home’s volume from the square footage. A hand on his shoulder, disturbing the math. “I lied to Iris,” Matty admitted. His father considered the case for a moment, then opened it and slipped the chip into the tablet for the netscreen. A few moments later, the wall-length device became full of numbers and images. Matty stood before the wall and letting his eyes skip over the numbers. He didn’t focus on any one set, just let the volume of information overwhelm him. It’s message turned him cold and anxious. Riot agents weren’t fiction. Alice Glass didn’t create them. They had been in the kingdom’s service for a century, putting down dissidence and containing the damage. And not every so often, as Iris had said, but frequently. Matty turned around to give his father his attention and found the man with one leg was crossed over the other, arms stretched out over the back of the couch. It was as relaxed as he had ever seen him. “He was born to privilege, served his king, and was elected by his peers to his kingdom’s highest executive office, twice. He got his people through a devastating war with courageous leadership and by simply saying the right thing at the right time. “What did the Regency win?” Matty asked. 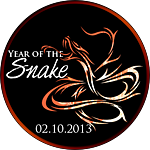 Thank you for checking out my Year of the Snake excerpt. Don’t forget to enter the Rafflecopter Giveaway for a signed copy of January Black, and then check out these other awesome excerpts. I always love getting a surprise bit of January Black! 🙂 Brightened up my work day! I’m anxious to read the rest of this, wendy. Love your excerpt, Wendy! I have to read this! Love this book – great choice for an excerpt, too! Some lovely characterisation and worldbuilding there. Yes it is! Beautiful showing of the world and characters! I love in the passage how Matty can’t help but process math problems, regardless of the moment. It’s so him.